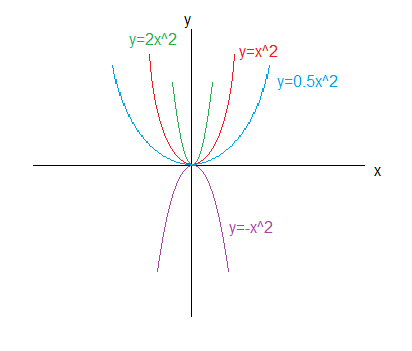 In Further Mathematics, the graphs dealt with are in the form y = kx^n where k and n are constants. The k value does not affect the shape of the graph but rather dilates (stretches or compresses) the graph. Changes in n change the shape of the graph drastically. Here we will explore different non-linear graphs by varying the value n.
These are straight lines through the origin. These are used in linear models. These are called hyperbolas. 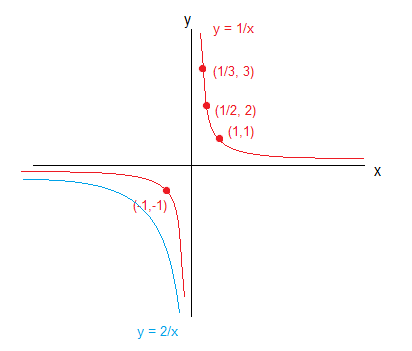 Here, with the increase in x, the graph approaches y = 0 but never reaches it. 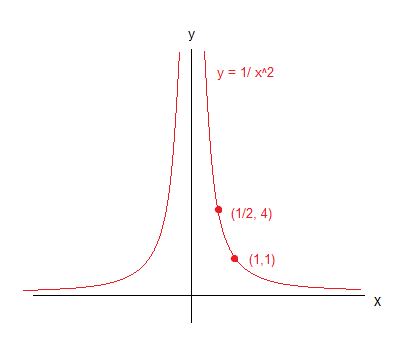 Likewise, as y goes to infinity, x approaches 0. The graph never crosses the y or x axis. These lines are called asymptotes. When n = -2, the graph produced is called a truncus. A truncus also has asymptotes. This is a cubic graph where n = 3. Varying k values dilates the graph, and a negative k value reflects it. By changing the label on the axis, it is possible to draw a linear graph with non-linear relations. 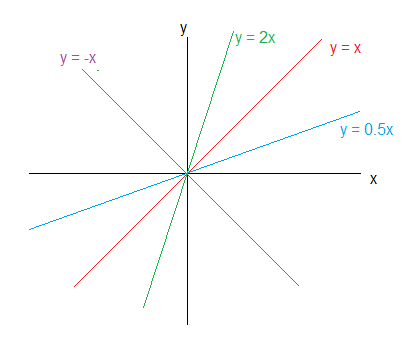 If the values for x were transformed into x^3 and graphed against the y values, the points would resemble a linear relationship. Since the data was transformed it must be noted that the axis has also changed. By looking at the right-side graph, the gradient can be observed to be 0.5. 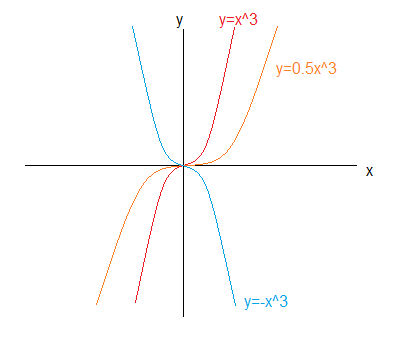 Usually a linear graph which crosses the origin with a gradient of 0.5 would have the equation y = 0.5x. However, since the independent variable (x-axis) is x^3, the equation would actually be y = 0.5x^3.